Now more than ever, travel companies are integrating unique offerings and products to fit the wants and needs of a wide range of travelers. That concept applies to those wanting a new experience, too. According to the Trekk Soft 2019 Travel Trends Report, over a quarter of travelers hope to “see or do something new” this year. In the world of cruising, new types of onboard experiences and shore excursions become available frequently, but is that enough? 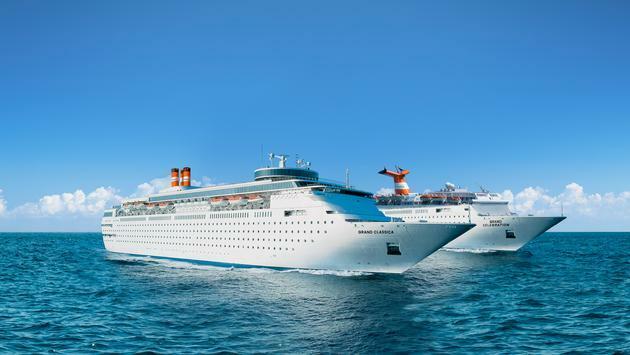 When it comes to Bahamas Paradise Cruise Line (BPCL), a line that turns four-years-old this year that operates daily out of the Port of Palm Beach, they stepped outside the box altogether. TravelPulse had the opportunity to sit down with CEO Oneil Khosa to chat about their one-of-a-kind Cruise & Stay packages, insight into what’s to come in 2019 and beyond, and the most significant selling points for travel agents. TP: Bahamas Paradise Cruise Line began operating in early 2015. Over the past four years, what have been some of the line’s biggest accomplishments and successes? OK: We have established Bahamas Paradise Cruise Line as a unique, short duration cruise line. With our two-night cruises and Cruise & Stay packages, we provide value-driven cruise vacations like no one else. Our efforts and initiatives to upgrade the experience by adding amenities such as the Grand Café, which serves gourmet coffees and pastries, along with Admiral’s Steak & Seafood Restaurant, makes our cruises very customizable. In regards to our destination, we offer a wide variety of fun ways to discover Grand Bahama Island with our unique shore excursions. We recently added three new adventures: fishing, diving and bike tours. We also created a solo traveler program that is unique to the industry. All these accomplishments have led us to deliver an experience beyond expectations along with more satisfied guests. TP: What do you personally find to be the most appealing part of your Cruise & Stay packages? Has there been any interesting or quality feedback from passengers? OK: We are the only cruise line offering this unique option and it resonates very well with our clientele. Imagine not having to go to an airport, but instead arriving at your destination on a beautiful cruise ship after being entertained all night, and are well rested to continue your vacation. The value of our packages are very competitive as well—it is more economical to do a Cruise & Stay package with us than to fly and stay at a hotel in the Bahamas. TP: Right now, BPCL’s fleet consists of the Grand Celebration and Grand Classica, both formal Carnival Corp ships. Are you looking into any hefty upgrades or renovations to these ships, or adding new ships to the BPCL fleet? OK: We have invested heavily in both ships and they look immaculate. We have created more passenger amenities and, of course, ongoing maintenance is a big priority for us. TP: How were you able to land the four partnering resorts on Grand Bahama Island, and are there any plans to expand to other resorts or other Bahama islands? OK: As of now, due to our itinerary, it is most viable to offer Cruise & Stay packages on Grand Bahama Island. Having said that, many guests are also flying to nearby islands from Freeport, or using small boats to explore other islands. 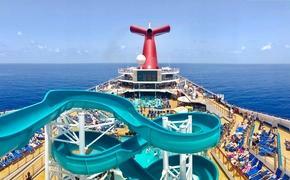 TP: What types of travelers do you see taking part in your Cruise & Stay packages? Are there other groups of travelers you think would fit the model well? OK: Most travelers fit the model. We are seeing great interest from various groups as we have launched specific programs for diving, fishing, professional triathlon cams and biking. We have a very distinct advantage for divers as Grand Bahama Island has great diving spots. If you travel with us, there is no need to allow time for body pressurization as would be the case if you fly in. That is a big advantage. TP: For travel agents that sell cruises, what are the top things they need to know about BPCL? OK: We have a great travel agent program. Commissions are industry standard and volume-based incentives. Also, given our size, flexibility of departures and uniqueness with Cruise & Stay packages, we are not competing with their standard cruise sales. Being a short duration cruise, we are an ideal venue for groups looking to host a corporate event, wedding, charters and more. TP: Looking throughout 2019 and even into 2020, are there any new plans or announcements travelers and travel agents can get excited for? OK: We will be launching new multi-cuisine menus offering new Chinese, Indian and vegan dishes for groups and guests upon request. I'm very excited for the launch of a special loyalty rewards program that involves a VIP lounge at the Port of Palm Beach. For families, we are broadening the kids’ offerings, including extended hours for our kid's centers, along with more activities, allowing more time for parents to enjoy their cruise. We will be also modifying our concierge packages to cater to guests who would like to experience a more sophisticated and personalized cruise experience. For wellness travelers, they'll be glad to hear that we have just entered into a partnership with Fit Bodies to offer our guests free yoga, fitness and Zumba classes with highly-trained and professional coaches at no extra cost. To learn more about Bahamas Paradise Cruise Line and their Cruise & Stay package, visit their website.